Yesterday’s torrential rainstorm did amazing things for the climate, and I actually needed a blanket for the first time since I arrived in Nice. That was a shock. I wasn’t even sure if I had one in that little apartment, but there was one shoved into a cupboard. I wasn’t too bothered by this minuscule abode that afternoon, though, because later on, I was checking into a five-star hotel. Luxury travel is really what I’m all about. If I could host a pompous travel show where I drink champagne at the end of every episode on the deck of a yacht and spend the other twenty minutes in various Michelin restaurants, designer boutiques, and in sumptuous hotels — well I would have found my dream career. I’m not quite there, yet, so I have to do these things on my own. Luckily it was my birthday a few days back, so staying at this hotel was a gift. And what a gift it was. 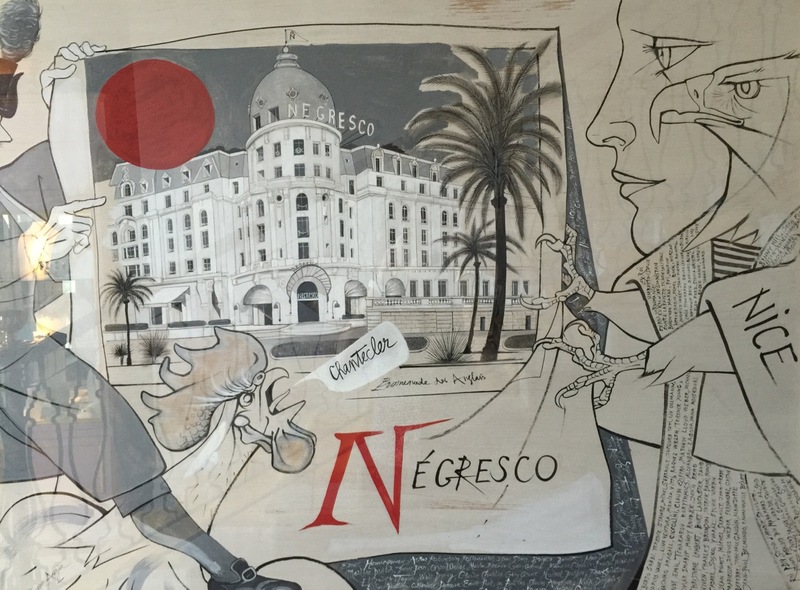 Any celebrity you’ve ever heard of, and royals from every palace in the world have stayed at Le Negresco. So have I.
I had no expectation to come here when I planned my trip to Nice. 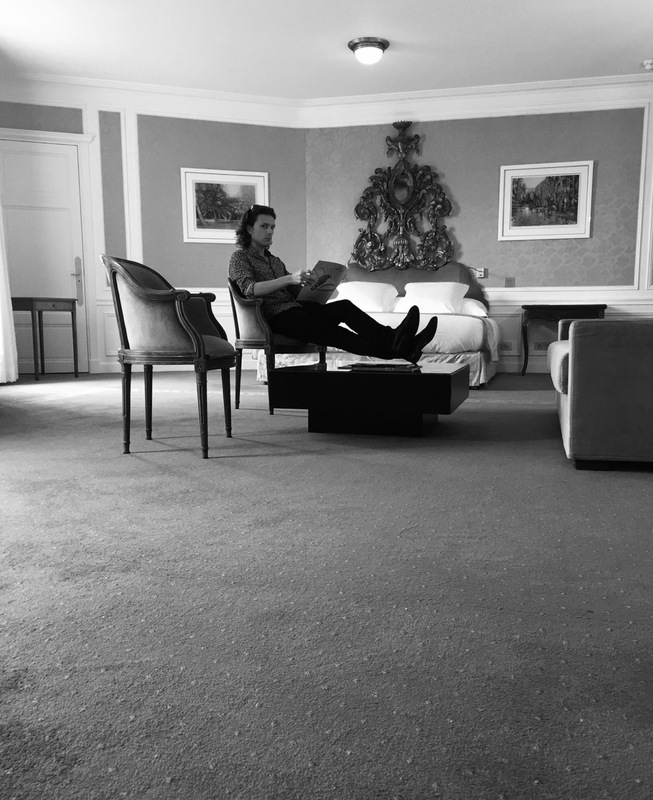 I knew of the hotel, because historic hotels are one of my obscure passions, but it wasn’t leaping out as a thing I had to do. This was supposed to be a budget trip, after all, that’s why I was staying in that shoebox on the east side of Nice. 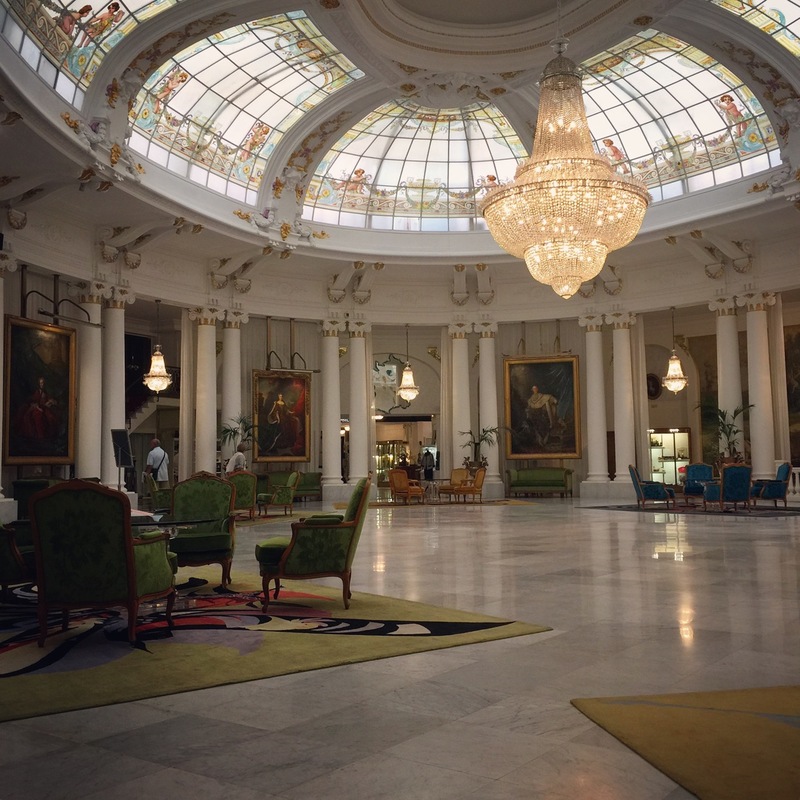 But I can’t turn down a night of luxury, so after the rain stopped, and I scurried into Carrefour to pick up a very important bottle of gin, I quickly made my way down the Promenade des Anglais and was soon entering the sumptuous lobby. 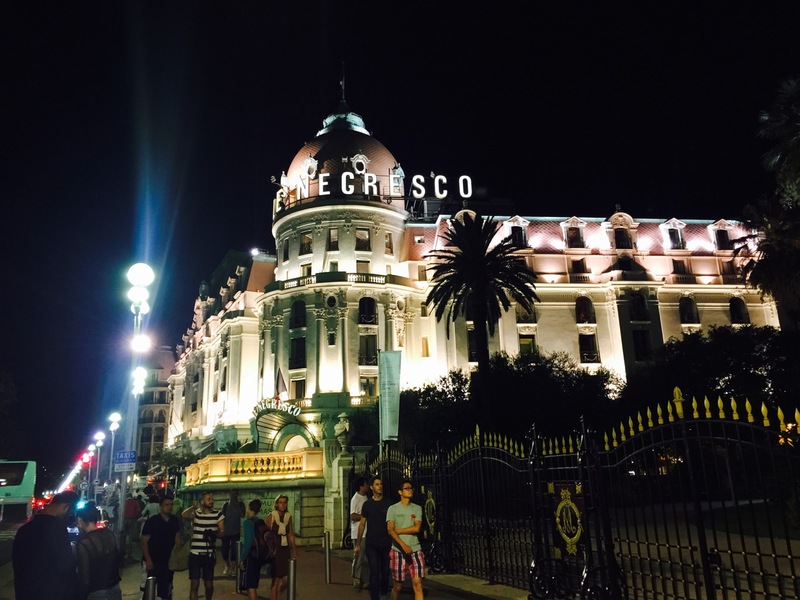 I have been to an absurd number of luxury hotels in my life, only one other five-star hotel before this one, but several four-star hotels have made much finer first impressions than Le Negresco. You can’t beat the jaw-dropping grandeur of the Winter Palace in Luxor, Egypt. The Palace in San Francisco has a shocking view of the courtyard as you walk in. And Chicago’s Drake is glorious as you ascend the carpeted stairs to the lobby. And I shan’t even begin telling you about how beautiful the antiquated grandeur of LA’s Chateau Marmont is in person. 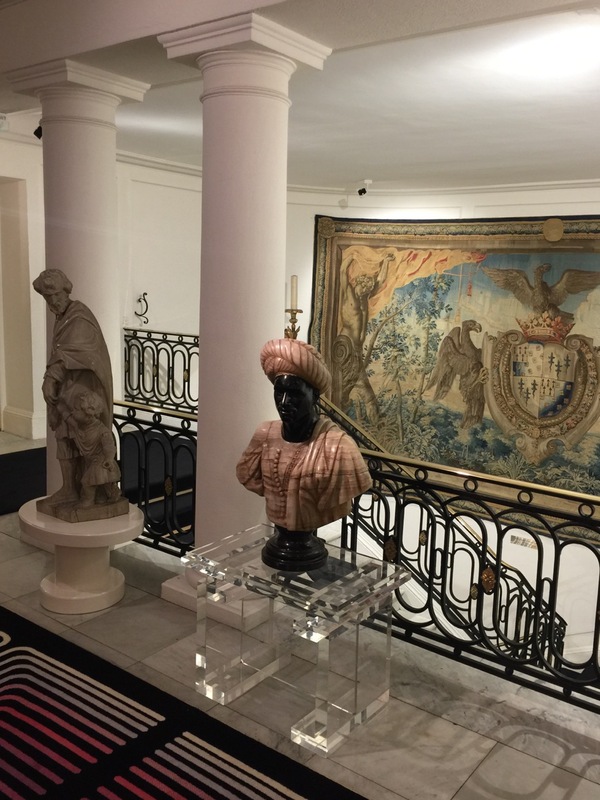 But, the lobby of Le Negresco was quite nice. Round. Lots of stone and very elegant. Pierre, a man with pomaded hair, which made him look like we stepped back into 1920, checked me in. 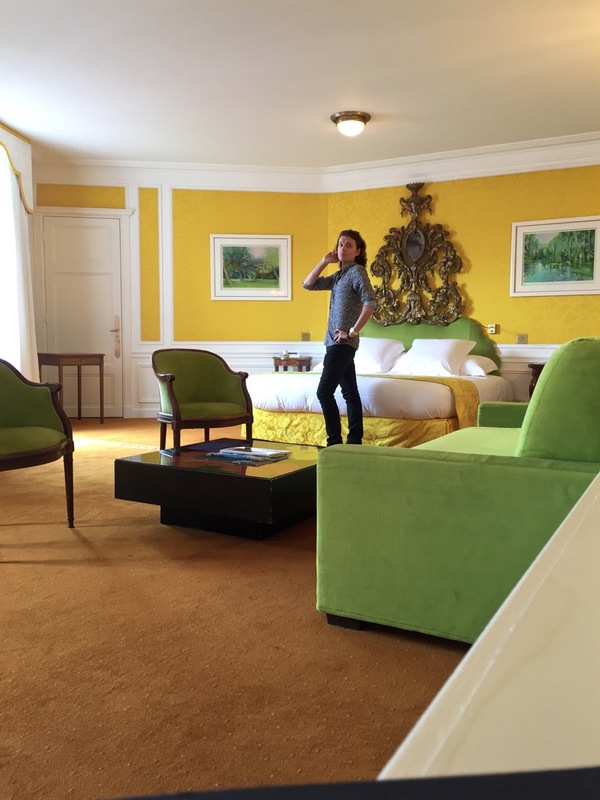 For some reason (probably my hair), I was upgraded to a superior room, and then Pierre gave me a tour of the hotel. It was much more eccentric than I had ever anticipated with more works of fine art than some museums. There are paintings and pieces of sculpture on nearly every available surface. The courtyard inside is a beautiful spot to sit and enjoy your surroundings. And the elevator is original! That was wonderful. I love elevators…but I shan’t go on about that peculiar obsession of mine here. My body was not ready for the room. I had no way to expect what I was getting for the night. The door opened and then a hallway extended for what looked like a football field. After a while, you take a right and the monstrously large room opens up. I am rarely speechless, but I was at that point. 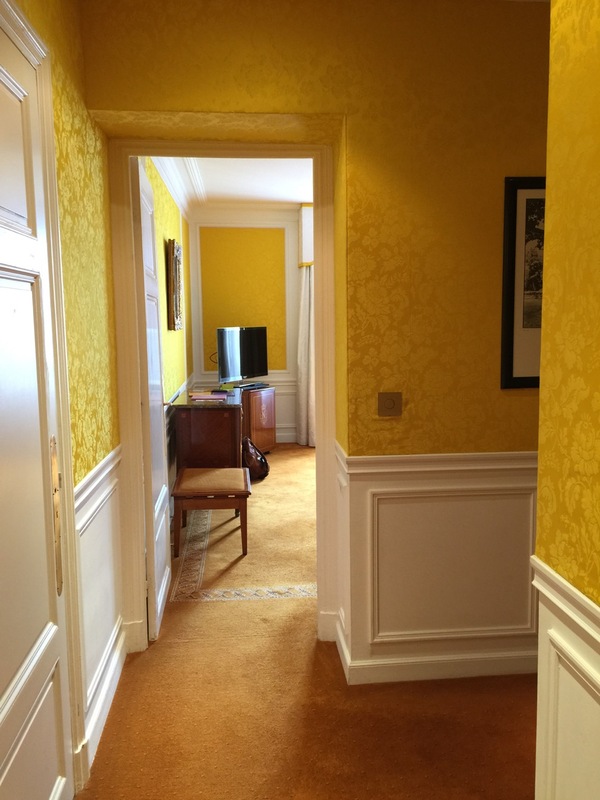 The walls are covered in yellow silk and all the furniture is chartreuse. There were ancient oil paintings on the wall and every comfort conceivable. Pierre was lingering, but I didn’t have any cash for a tip, which I assume is what he was waiting for that. Either that, or my body. (A tip, either way.) Eventually he got the hint and excused himself and then I was alone in that monstrous room, which was delightful. It is bigger than some houses I’ve been in. No joke. I thought how delightful it would be to have my cat, Edwin, there with me. I’ve been missing him something terrible. He would have loved scurrying around the room and avoiding my affection. After a bit of relaxing and making sure I took an iconic selfie, I set out to look around the hotel. Pierre had been correct; it was just like a museum. There was every kind of art imaginable on the walls, and portraits of everybody from Jean Cocteau to Coco Chanel. I really enjoyed that, even though I found the collection to be so eclectic that it was hard to really appreciate the assemblage. Still it was rather fabulous en masse. The hotel’s restaurant didn’t intrigue me. It was designed to look like a carousel, and I found it a bit unsettling, so I decided to go out and find a place to eat on the town near the Place Massena. 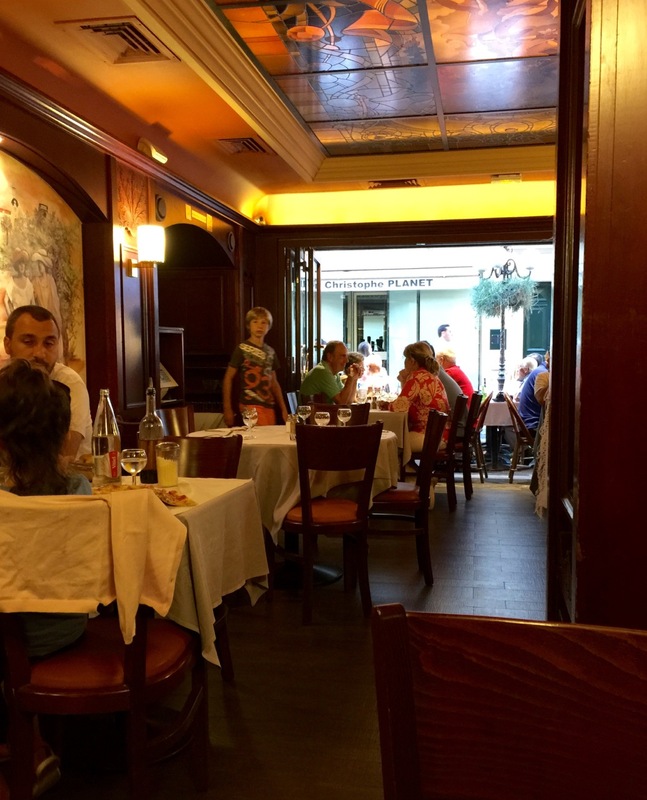 So, after eating too many macarons (just kidding, there’s no such thing as too many macarons), I sat down at a beautiful and busy café called the Taverne Massena where I gorged on a four-cheese pizza, fries, and Kir. It was absolutely delicious, and I had a very nice time. Then I thoroughly enjoyed lounging in the spa-like bath tub while catching up on I Am Cait. The bathroom was probably the same size as the entirety of the apartment I was ignoring down the Promenade des Anglais. The whole suite is easily eight or ten times larger. Space is a wonderful thing. 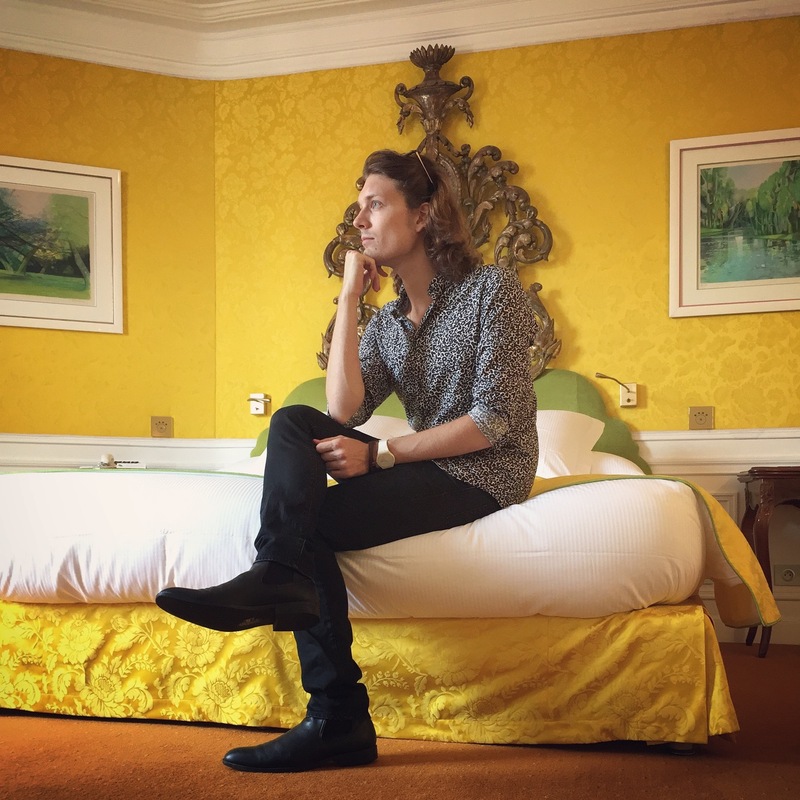 Content to be in a room that could have hosted a prince in a hotel that has seen the likes of everybody from Édith Piaf to Salvador Dalí to Queen Elizabeth to Elizabeth Taylor, I passed out quite quickly, unable to wipe a smile off my face that comes from the comforts of luxury and wealth.